About 40 million people in the U.S. have chronic sleep problems. Some can’t fall asleep, some wake up in the middle of the night and can’t get back to sleep; others get tired during the day, have a nap, and then don’t get the sleep they need at night. It’s even worse when you get older – about 50 percent of those over 65 have trouble with sleep. These problems are often ignored, but adequate and restful sleep is vital to your health. The immune system is also negatively affected by lack of sleep. This opens the door to a number of bacteria, viruses, other pathogens, and even cancer. In fact, a successful fight against cancer cells depends on the natural killer cells in our immune system. These cells are so important that scientists are working on a way to increase natural killer cells as cancer treatment. Sleep plays a vital role in learning and memory. While you’re sleeping, the brain commits new information to memory. In fact, studies have shown that if you sleep after learning something new and you’re then tested on that subject, you’ll get better test results than if you hadn’t slept. It applies to children as well. The Journal of Epidemiology and Community Health, involved over 11,000 children at the ages of three to seven. 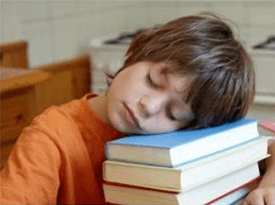 Researchers found that youngsters who went to bed at irregular hours scored lower in cognitive tests for reading, math, and spatial abilities. If you don’t sleep well, keeping those extra pounds off can be challenging. Not only does a sleep-deprived body process carbohydrates differently, it also alters the level of the hormones that control appetite. Being overweight or obese has been linked to diabetes, heart disease, osteoporosis and other joint problems, sleep problems, respiratory disorders, strokes and certain types of cancer. Seven to nine hours of sleep a night is recommended for a person to function each day. Go to bed at the same time every night – even the weekends. Building better habits is a crucial part of improving sleep quality. When sleep becomes a part of a regular routine, falling asleep on time becomes infinitely easier. Sleep in a very dark room and turn off electronic devices at least 1 hour before bedtime. The light from these devices can suppress melatonin, our body’s natural sleep inducing hormone. Acupuncture points Anmian means “restful sleep” and can be incorporated into your acupuncture sessions for a very effective way to get a good nights sleep. Cranial Electrotherapy Stimulation Unit (CES), is a small handheld device about the size of an iPod with clips that attach at the earlobes, used to treat insomnia – as well as depression, anxiety, addiction, and chronic pain. A safe and effective, FDA approved, drug-less alternative that can be done easily at home. CES Units are available for use and purchase at the clinic. Speak with your doctor for more details. Natural medicines such as Relaxin and Peace Pearls are just a few medicines we have available at the clinic to make sure you are well rested. If you’re not getting enough sleep your adrenal glands are not able to recharge, Drenatrophin or Adrenal Stress tablets support the adrenal gland function and aid in restoration. Speak with your doctor to find out which is best for you. If you’re not getting adequate or restful sleep, let your Naturopathic Doctor know – they can help! Not only will you reduce your risk of serious illness and degenerative disease, life will be more productive and enjoyable overall. Of course it is important to understand the cause of the insomnia so that targeted therapies can be applied.